ANOTHER Discord Server? How original. / ANOTHER Discord Server? How original. How many of these things are there? 3, I think. If you don't include ours, of course. There was the initial Msparp server started by Birdhouse, that's apparently a ghost town now. There was the one created by Rale, that ended because of the whole debacle surrounding the age limit and more mod drama surrounding the MSPARP site itself. Then there's the one by the lovely Klarvier that I literally just joined today, and there's no drama or any shenanigans going on in that one. (As far as I know.) But here we are. Making another server that no one asked for like a Hollywood studio making that 7th sequel to a series that everyone has long forgotten about. Jegus, this is embarrassing. I didn't even tell you who I am! Name's Kase! I've been on this forum for years and I made a lot of friends here. I currently mod a new MSPARP Discord server with some of my friends, and we're going to invite you into it. We only ask that you respect the rules we set out. These rules were written by the Admin and Head Honcho, Void! They're in the doobly-doo below as well as the #rules in the server itself. This means admins, mods, and general users. Working to actively flame, anger, troll, or otherwise be a jerk to someone else will gain you a warning. Slurs, racist, sexist remarks and the like are not prohibited, and will be viewed upon harshly. Please ping @moderators or @admin if you need assistance, but use responsibly. Shitposting should stay in #shitposting. Remember, not everyone wants to have silly pictures in the middle of a conversation. Spamming is prohibited, please do not spam in this server. Please ask @admin before advertising other chats in our own. We are a SFW server. Please keep your private possessions to yourself. Remember that #art and #music are for YOUR creations. Media Lounge is to show off other people’s stuff. Please credit those artists if you can! The #serious category is for serious topics, like #venting, #politics, and #special interests. By speaking in these channels, you must observe the utmost respect for others who are there as well. If you are caught shitposting, spamming, harassing, purposely trying to flame, anger, troll, or otherwise be a jerk to someone else, it is an automatic strike. Concerning #politics- Someone disagreeing with you does not count as harassment. We operate on a 3-strike system. This means if you are physically removed from a channel or the server, the moderators and admins reserve the right to ban you permanently. Appeals Chat is only to be used to appeal a ban or speak to mods about your ban.Bringing that drama into another channel will count negatively against you. You can only access appeals chat by speaking to a mod or admin first. 1st Strike: A Channel Ban consisting of (1) One Week. 3rd Strike: A Server Ban consisting of (2) Two Weeks. (+)If you are given a warning, then continue to persist, and are then banned, that counts as a strike. Anyway, here's the main event. What you all came here for. The Discord link. It's right here. Whoops! 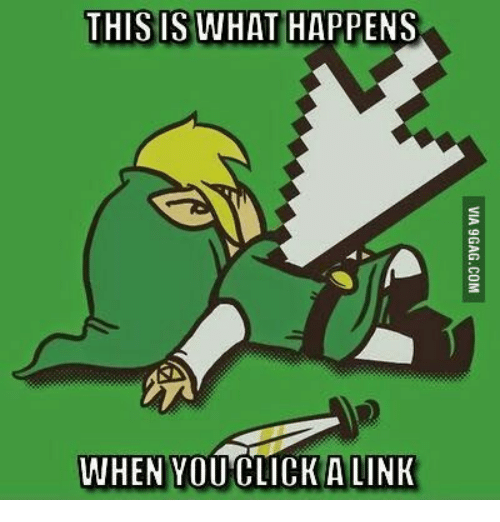 Wrong link. I'll just drop it below.